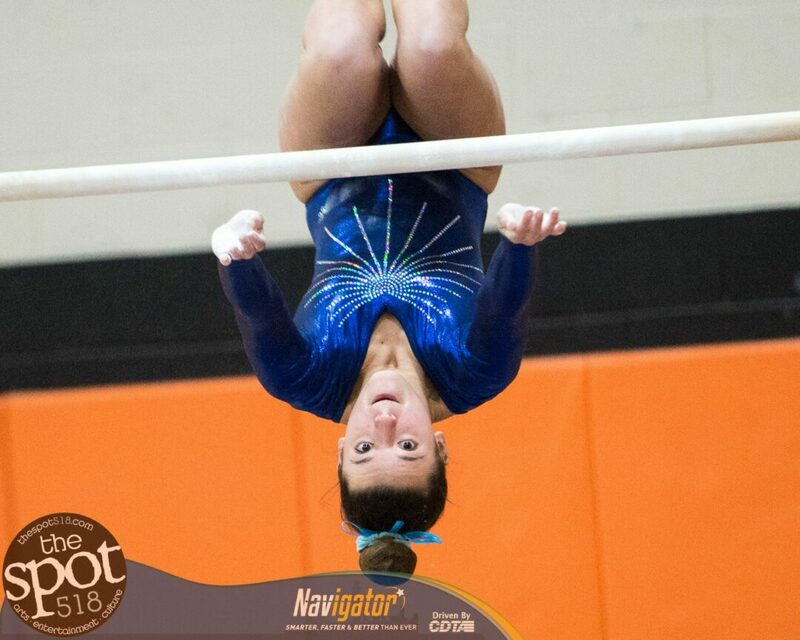 BETHLEHEM — The Eagles gymnastics team hosted its annual Tumble for Hunger meet on Thursday, Jan. 31. All four Section II gymnastics teams — Bethlehem, Shaker, Guilderland and Saratoga — to help raise money for the Bethlehem Food Pantry and the backpack school program. There were no official team scores kept, and all the gymnasts wore blue.